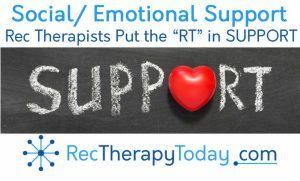 Tell Group Members — Today we’re going to learn the importance of having a social support system. You could play the video below if you think it is appropriate for your audience. Once there was a dog who lived in a village. The dog loved doing things that dogs do. People in the village loved the dog. And then one day a problem occurred. The dog got caught up in the coil of a python. This would be the end of the story for most animals who care caught by a python. They python would suffocate the animal and eat it. However, the dog in this story has a super power. It is the power of a support system. The people in the village loved the dog. They came to the dog’s rescue. The villagers used sticks to pull the snake off the dog. Pretend that you’re the dog in the story. Your problem is the snake. And the village are people who can help you. The dog’s problem was a snake. What type of problems are you facing? The dog would probably have died without help from others. What might happen if you don’t get help with those problems? Who are some people (like the villagers who saved the dog) who could help you to get power over your problem? Identify as many people as you can. This could be family, friends, acquaintances, professionals, doctors, church religious groups, neighbors, anyone. How could you ask for help? Role-play it.